This is the basic process for making barbecue spareribs. 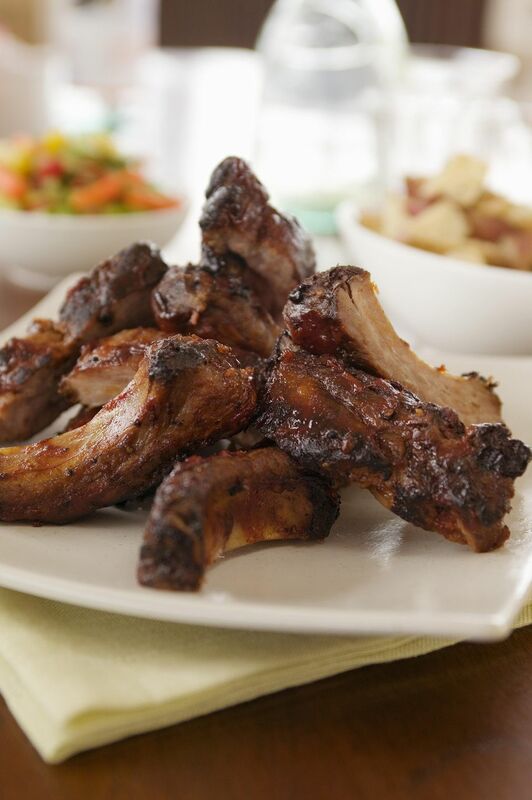 Smoke the ribs and serve them with a good helping of barbecue sauce. 1. Using your discretion and depending upon the size of your charcoal grill, light enough coals to heat the grill (about 10 to 15) to about 200 degrees F/95 degrees C. Trim ribs excess fat and place on grill. The goal here is to keep the barbecue about 200 degrees F/95 degrees C for 4 to 6 hours. Every two hours, or as needed, light 6 to 8 coals in a separate container (charcoal chimneys are great for this) and add to the barbecue when they start to turn white on the edges. 2. After five hours, brush liberally with heated barbecue sauce and continue cooking for another hour.